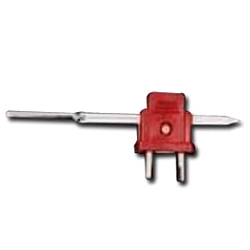 We are a company that is trusted for offering top quality s Fixed Electrical Contact Thermometers. The steam lines resistance thermometer for flue gases, air are subjected to lead pull out test and thermal response time test. We are successfully meeting the requirements of our clients by offering the best quality range of Electric Digital Thermometer. Interchangeable probe, hold function, auto-extinction. IP54 ABS housing. Our company hansa marine offers a wide range of electrical contact dial thermometers. We have designed and developed a wide range of electric contact thermometers that offer excellent services. These thermometers are high in performance and yield higher output to our clients. Based on latest technology, these electric contact thermometers have created a wider demand for themselves.